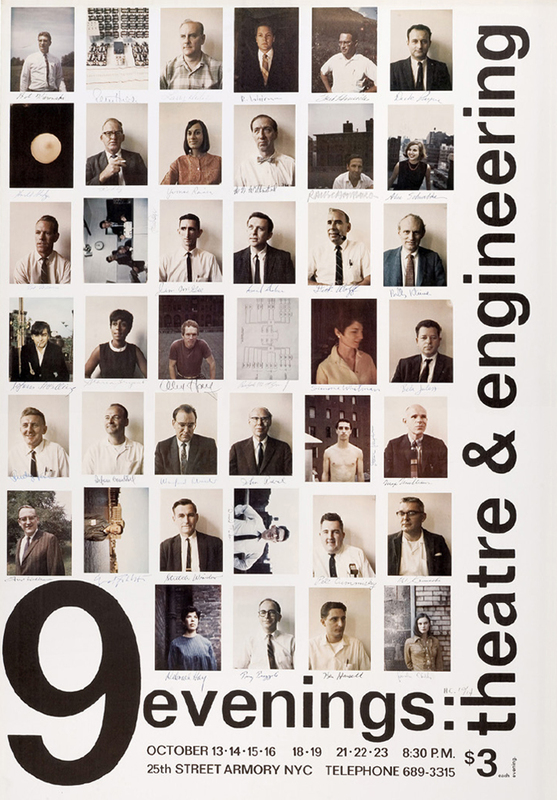 In the style of avant-garde theater, improvisational orchestra, with a hint of Actionist sensibilities, 9 Evenings: Theatre and Engineering opened to an eager public in October 1966 in the 69th Regiment Armory in New York City. 9 Evenings was the culmination of a year’s worth of organized chaos, involving 30 engineers from Bell Laboratories collaborating with 10 established artists. As a tribute to this ground-breaking exhibition, 9 Evenings Revisited: In Theory, as in practice, stands apart from its predecessor as it mainly involves microbiologists, biochemists, neuroscientists, statisticians, and physicists, rather than engineers, and therefore reflects upon how multi-faceted science has become. Several preparatory workshops will take place throughout 2016, culminating in 9 days and nights of events. Popular science lectures will be given by local and international scientists throughout the duration of the exhibition, in parallel with the artistic events. These lectures will crucially enable the public to engage directly with cutting-edge science developments, as well as wrestling with the more general and abstract concepts that permeate science as a discipline.